In 1961, workers in the General Motors plant in West Trenton, New Jersey, stood back and watched as a robotic arm lifted pieces of scalding hot metal from a die casting machine—a modest movement that previously posed a very real health and safety risk to the workers. The machine was called Unimate, built seven years earlier as the world’s first commercial, digital, and programmable robot, and recognized as a tipping point in modern history. To think our fascination with the possibilities of robotics and automation began with the Industrial Revolution would be to ignore millennia of human creativity. The first known robot was created as early as 400 BC by the Greek philosopher and mathematician Archytas, known today as the father of mechanical engineering. It was a wooden bird he called The Pigeon, whose movements were powered by steam. A fascinating journey of imagination and invention has brought us to the semi-automated life of today, in which we interact regularly with robots we call ATMs, vending machines, and Roombas. Many of us speak daily to Siri or Alexa, and choose our own customer-service adventure when we call help centers. Computers on our desks, on our wrists, and in our pockets enable us to do advanced calculations, communicate across vast distances, and have dinner delivered to our door with next to no physical or cognitive exertion. Yet, often when faced with the opportunity to automate repetitive, programmable tasks in our daily work lives, we hesitate. Rather than Watson, we picture the Terminator. Instead of welcoming the opportunity to forego tedious tasks that we know a machine can do better and faster, we worry that those machines could replace us. But just as ATMs did not decrease bank staff and actually improved the employee experience, using robotic process automation (RPA) to validate massive datasets in seconds won’t diminish the need for the expertise only a human mind can acquire and apply to that data. In fact, the entire point is to create the time and opportunity needed for people to do what only they can. Contrary to our greatest fears and sci-fi plots, robotics are not a threat to our peaceful existence. What they do threaten is the volume of time and resources spent on repetitive manual activities that do not require the unique abilities of human beings. Robots excel at performing repeatable, programmable, rule-based tasks involving digital data. But ask even the most advanced robot to interpret urgency, prioritize deadlines, or step in for a sick coworker, and you’re unlikely to be impressed with the result. The key to understanding how RPA can benefit your payroll organization is to see it as a tool for professionals, not an alternative to them. This is why rather than drawing comparisons to people, innovators in the field of robotics are focusing on the specific capabilities of machines and how they can be leveraged to our benefit. Almost 60 years ago, Unimate was used to retrieve dangerously hot metal so workers didn’t have to, instantly making that process safer and more reliable for humans. As we’ve continued to add robotics to common processes across sectors, we’ve experienced increasingly better, faster, safer, more accurate, and more efficient ways of achieving our goals. This is the ongoing development of the augmented workforce of the future. In business functions and offices around the world, RPA is revolutionizing the way many of us work by gradually reducing the amount of time and energy we spend performing repetitive, high-volume tasks. 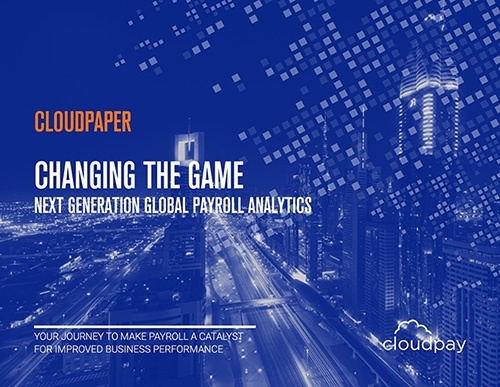 Key examples in global payroll include data validation and data transfer, integral parts of the payroll process that are also highly manual, time-consuming, and prone to error. To effectively incorporate automation, business leaders must first identify these kinds of essential, tedious tasks that can be performed as well or better by machines. You can’t replace the experience, understanding, or reasoning of a payroll specialist with a robot, but you can use an automated program to support that individual and relieve them of the need to go line by line through spreadsheets to verify payroll data every month or manually update attendance information in Excel templates. Based on this idea to automate tasks rather than entire occupations, McKinsey & Company published a framework for evaluating the opportunity for automation in various professions. This framework separates tasks that require human skills, such as applying expertise or managing others, from those that don’t, like data collection and processing, or predictable physical work. When that framework is applied to global payroll, we find that as much as 40% of the time spent on payroll activities has the potential to be automated. Assessing your current capacity for RPA is key to implementing automated processes that benefit your employees. The research and advisory firm Gartner predicts that by 2020, 90% of large and midsize organizations will have at least one process supported by RPA. Depending on the global payroll solution and HR platform currently in use by your organization, you may already be benefitting from robotics. Or depending on your teams’ appetite for better processes and results, it may be time to expand your adoption of the technology. Look for opportunities to centralize data and standardize workflows, both across your payroll team and in upstream functions. 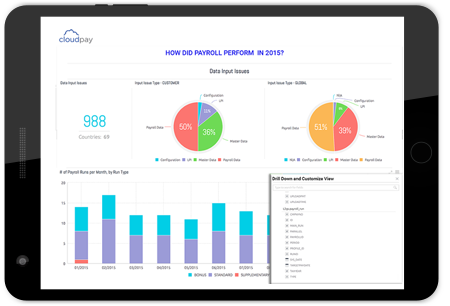 Today’s more advanced cloud solutions for payroll and HR rely on newer technology like record-based data management, rather than traditional templates that treat all payroll information as a single dataset. Additionally, exploring opportunities for integrating closely related systems that share data can reveal important advantages across functions and for the broader organization. Considering the speed of evolution in technology and global business, it’s impossible to make intelligent decisions based on where you are today. To maintain any business advantage, companies must be prepared for continuing change and ready to adapt not only strategies, but also processes. There are clear steps to that end: standardize, integrate, automate. Taking those steps requires business leaders to re-evaluate decisions that may have been sound in the past but are outmoded today, like on-premise data storage. 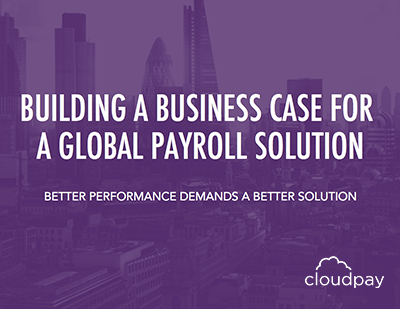 For global payroll leaders, this could mean reconsidering the idea of using separate payroll systems for different regions or maintaining outdated archives of workforce data. Regardless of size, industry, or global footprint, one truth becoming increasingly evident for business functions that manage and process important data like payroll, is that automation is a defining aspect of the future of that work. Companies yet to explore and adopt RPA are now behind the curve. And while today’s technology is making it easier than ever to catch up, one thing robotics cannot do is make the decision for you.